In recent times, wearable technology has become a thing of the norm, and devices such as the Apple Watch are household names. However, there are lots of pieces of wearable tech out there that slip under the radar, but could greatly improve one's life, be it in a large or small way. Have a look at our 10 favourite pieces of wearable technology below. June may appear to be an everyday bracelet, but it is far more. June will constantly monitor UV levels and notify you via iOS app so you know when to apply the suncream and with regular reminders to reapply, the device aims to prevent users from burning, even on those cloudy days when 90% of UV rays still pass through. This technology deals not only in beauty to prevent skin from premature aging, but to protect it from sun damage and burns as well. The device attaches magnetically to your clothing and looks like simple jewellery, but it aims to improve your posture by buzzing when it detects slouching, for example. Correct posture is supposed to have a huge number of health benefits. It also claims to count calories, steps and distance, as well as lasting 5 days on one charge. It's discrete and comes in a variety of colours. It's simple to set up but does require an app to function (available in Android or IOS). Charm alarm is a security device made up of a necklace and card that you put inside your wallet. Should your wallet be stolen and moved quickly away from you, the necklace will vibrate and both pieces will make an audible alarm so the thief knows you are aware. The aim is to prevent thieves from getting away with your credit cards, driving license etc. The LEAF is primarily an activity tracker. It can measure steps, calories, sleep, breathing rate, menstruation and it also has a mindfulness feature. It will even vibrate to remind you to exercise. The device is designed with women in mind. It's small, lightweight and attractive and will last 6 months without charging before the battery needs a change. It is a small piece of jewellery that can be worn in a multitude of ways. It syncs wirelessly but not automatically and it isn't waterproof. As far as appearance goes, it's customizable to a degree. Again, you'll need to download an app to use it. Pilot won't be available until 2017, but it promises to be the world's first smart earpiece. The idea is to break down language barriers. The device uses a noise-cancelling microphone to listen in to speech, and then it's passed through the app which translates it and sends it to the other person's earpiece so they can hear the translation. Therefore, it does require both parties to have an earpiece. The app can also be used as a basic phrasebook. The device has conference mode so multiple people speaking different languages can all be part of the same conversation. The Cicret is also not yet released. Cicret is a bracelet that projects a touchscreen onto your skin. It's water resistant, has a removable battery and works on all skin types. The touchscreen mirrors that off your phone. They hope to begin production in autumn. Their line is "like a tablet, but on your skin", and that seems fairly accurate. It will be available in 10 colours and will come in 16GB and 32GB. Google has partnered with Swiss pharmaceutical firm Novartis to develop contact lenses for diabetics. The device is nowhere near the market, but it has promise. The idea is that a sensor in the lens will take a glucose reading from tears every second and transmits the data wirelessly to a smartphone. This is hoped to help diabetics by eliminating the need for finger-prick glucose tests. Hopefully, both plain and corrective versions will be available in the future. There is currently no date set for its release or price. This watch is a hugely complicated piece of technology designed primarily to help epilepsy sufferers by detecting life-threatening seizures and alerting care givers. It's water resistant and lasts 36 hours on battery. It uses Bluetooth to transfer data and SMS to alert people to the seizure, should it detect one. The accompanying app - Mate - can show you data on sleep, stress, skin temperature and activity to help you work out what triggers your seizures. They ship worldwide and any age from toddler to adult can wear the Embrace. Mimo is a cotton bodysuit for your baby that monitors breathing, sleep temperature, movement, position and whether they're asleep. It uses low level Bluetooth to send the information to a caregiver's phone, which can then be shared with others. They are available in a variety of sizes and colours and are machine washable for convenience. The company also produces a cheaper blanket which records your baby's movement when they're lying on in and sends the information to your phone. It sends an alert if no movement has been detected for a certain period of time. The Jawbone UP2 is a mid-range fitness tracker which accurately records sleep quality and time. It also records calories burnt, steps and activity in daily mode. The third main feature is a stopwatch for exercising. Unfortunately, there is no display to see how close to your goal you are. For that, you'll need the Jawbone UP app on your smartphone. Also, the device isn't waterproof. It charges via a magnetic cable that connects from the USB port of your laptop. 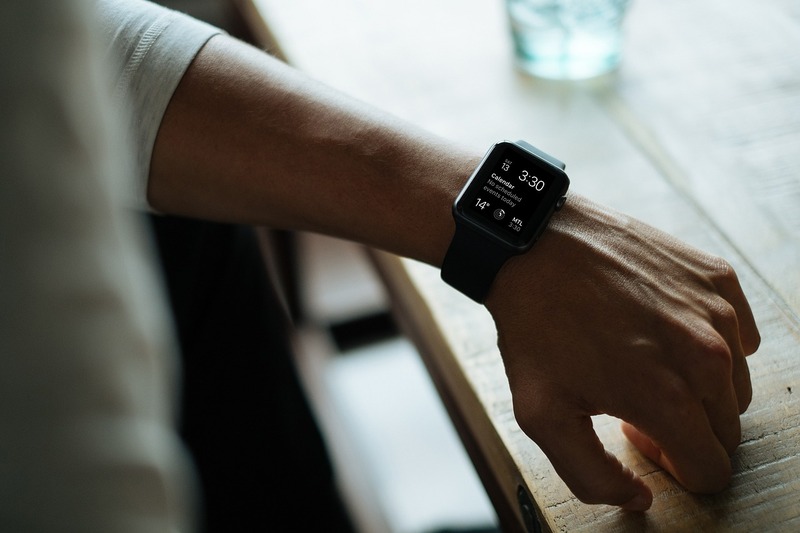 We hope you found our list of our favourite wearable tech interesting - this information was collated by work experience student Mara and produced into a blog by Cosmic. Do you have any favourite pieces of wearable tech? Let us know!